Did you hear the one about the woman who left Dáil Éireann for a life of foraging hen parties, wild herbal workshops and cosy shepherds' huts? Driving to meet former TD Mary White at the eco-tourism business she now runs with husband Robert beneath the Blackstairs Mountains, I wasn't entirely sure what to expect. Was this a worthy-but-woolly initiative I would applaud but have little interest in returning to? Or could it have the spark of something special? 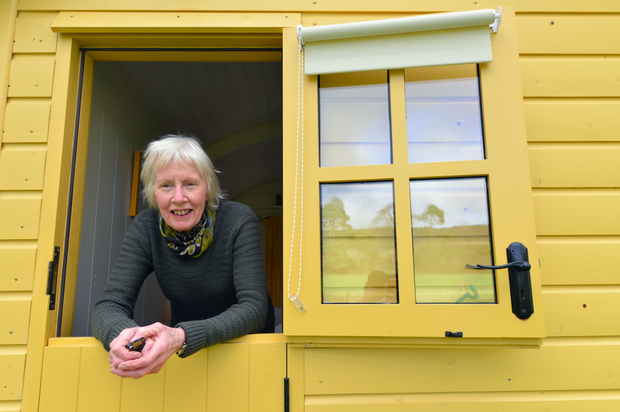 "People are exhausted when they come here," Mary said, welcoming me to Blackstairs Eco Trails at the couple's home near Borris, Co Carlow. "They are so stressed out. But they get a great night's sleep. We live in busy cities. We need to get away." I could relate to that. So, it turns out, could Mary and Robert. In a former life, she was a Green Party TD; he ran a busy book-selling business in Dublin. When Mary lost her seat in 2011, they began building an eco-tourism business around their home, an old rectory set beneath the Blackstairs. They offer guided walks with afternoon tea (from €35). A barn dating from 1831 has been converted with eco-friendly insulation, organic paint and 'green cement' (which uses substantially less carbon). It hosts anything from yoga to lectures or cooking with hen parties, whose 'Foraging Hen' sessions (from €50pp) can include making garlic pesto, rose-petal ice-cream or nettle and cheese scones. "It's better than throwing up in Temple Bar," Mary laughs. I like that the eco-message isn't pushy. It just is. A Zappi electric car charger sits behind the barn. There's talk of going "off-grid" by using photovoltaic panels to harness solar energy. 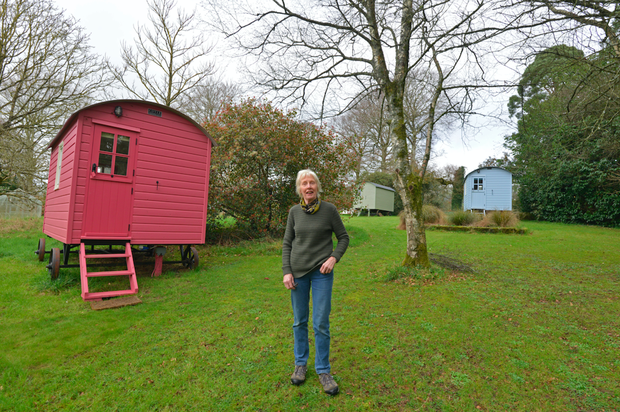 The handful of cosy 'shepherds' huts' (from €75) that made our Fab 50 best places to stay in Ireland this year were built by a craftsman in Mullingar. The taxi driver they use is a local farmer supplementing his income. In a world where so many hotels persist with single-use plastics, from toiletries to water bottles, it's refreshing to find these creative ideas... without the preachiness. Most of all, I loved the positive energy oozing off this couple. Though we chatted for less than an hour, over homemade flapjacks, it was enough to absorb some of their can-do spirit and get a little recharge of my own. It felt invigourating to be around two people that made an inspiring change, work so well together, and don't seem to notice obstacles. Big hotels could learn a lot from this small business. As we spoke, Mary's phone pinged. "New booking," she chirped. "For two nights! Lovely!"